There were eight industrial estates operating in this local community before the war. They do not exist today and there is almost no economy either. In addition to war events, this situation has been caused by the “criminal privatization”, according to the actual Mayor of Trnovo, Dragomir Gagović. “All the capacities have been completely destroyed, not only by the war, but also by the criminal privatization,” Gagović said, adding that these are additional reasons why his municipality was included among extremely underdeveloped municipalities in the Republic of Srpska, along with the “poor situation in the economy, reduction in the territory, and a small population”. The indicator of a poor demographic picture is the fact that only two children have enrolled in this school year, while Trnovo, with an average age of 46.06 years is the “oldest” municipality in the Republic of Srpska. 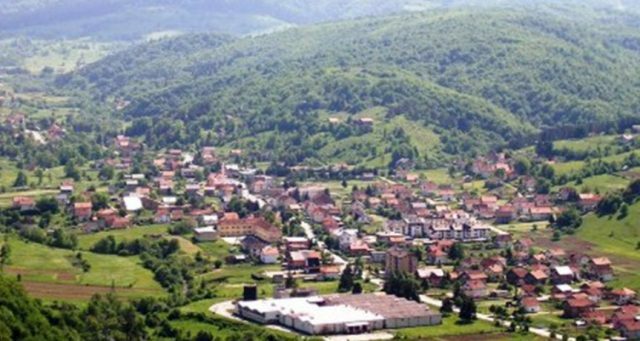 Nevertheless, besides the aforementioned, the municipality of Trnovo, supported directly by higher authority levels, is able to stimulate the development of the economy. The Mayor also says that “he has been satisfied with this year’s support of the Government of the RS when it comes to capital projects”. Listing the measures undertaken by the municipality in opening up to young people, the Mayor emphasizes that “the municipality allows everyone to engage in sport and finances all sports associations and clubs, provides scholarships to students, enables them to take a traineeship, and pays the transport fees to students enrolled in secondary schools”. The Municipality of Trnovo has great hydro-potentials, and in order to exploit it, has provided conditions for the construction of a water plant at the place of Kiev, which is underway and should provide employment for 15 workers. The largest and most modern hydro-electric facility “Bogatići-Nova” was put into operation in early September of this year. The positive side of the municipality of Trnovo is reflected in young people who are trying to contribute to the improvement of the situation, by struggling with the existing problems. Danijel Grujić, Executive Director of the Association of Citizens “Bonitas” and Ognjen Vasić, Director of the Cultural Centre “Trnovo” are two shiny examples of thereof. The Association “Bonitas” deals with charity, humanitarian work, and the main problems they face, in financial terms, are the lack of office space and equipment, as well as the lack of interest of young people to engage in and contribute to the development of the municipality. The Cultural Centre is “the main and only bearer of cultural events at the municipality of Trnovo”, stresses Vasić, and the problems they face, according to him, are a small number of people, devastated infrastructure and the lack of jobs for young people. Zdravko Vlaški, the pre-war owner of a shop which, as he says, “he decided to shut down after the war, due to the lack of workforce and decline in the purchasing power of the population, and to consequently commit himself to agricultural production”. Vlaški bred 25 heads of large cattle, but also decided to reduce this number to only 5 heads. As a reason for such a reduction, Vlaški stressed “the lack of support by local community and the decline in milk prices on the BiH market”. Vlaški believes that the so-called “political suitability” that he himself experienced, is one of the great problems that farmers face in this municipality. In addition to agriculture, tourism is a branch of economy with a large potential in the municipality of Trnovo. Mayor Gagović agrees with this, pointing out that “Trnovo is a municipality with great tourist potentials”, and that “a part of the Jahorina mountain, Rajski do, the Zeljeznica and Kasindolska rivers, clean water springs and Kazani indeed offer and provide great chances for success”. It is clear that Trnovo is a municipality whose tourist, agricultural and hydro potentials are indisputable, but it seems that much more will need to be done in order to fully exploit them.